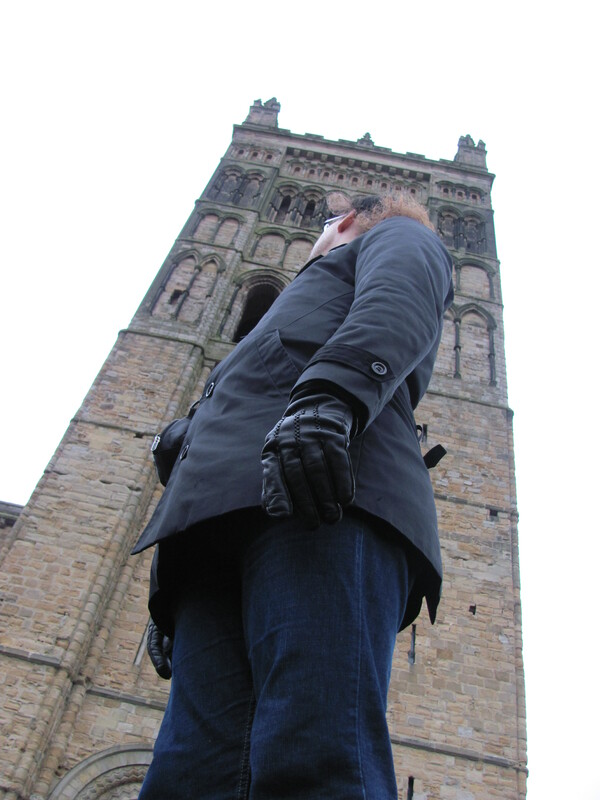 When I lived in Durham, my office was a two-minute walk from the powerful, weighty Romanesque/Norman cathedral. I visited the cathedral at least once a week to refresh my soul in what was, for us, a difficult year. If you turn right on entry and go to the Galilee Chapel, you find the tomb of the Venerable St Bede. If you turn left and walk along one of the broadest Romanesque naves of Europe, through the transept and into the late mediaeval Gothic expansion, you will find the tomb of St Cuthbert, behind the High Altar of the chancel. St Cuthbert’s tomb is at the same height as the chancel, so you’ll have to take some stairs to get to it. When King Henry VIII wanted the wealth of the church, combined with a Reformation zeal for simplicity, the old, glittering, glitzy, bejewelled shrine to St Cuthbert was dismembered (disiecti membra sancti?). Today, the saint lies interred beneath a black slab, similar to that of St Bede, ‘Cuthbertus’ inscribed in gold on it. This body, intact for centuries (they disinterred it in 1104 and found it still to be fleshy and the limbs moveable), is Durham’s greatest treasure. To be sure, there are some mediaeval ecclesiastical politics behind the placement of St Cuthbert’s body, to do with the desire of Durham to be the episcopal seat of Northumberland, but the choice of St Cuthbert as Durham’s preferred saint is no accident. 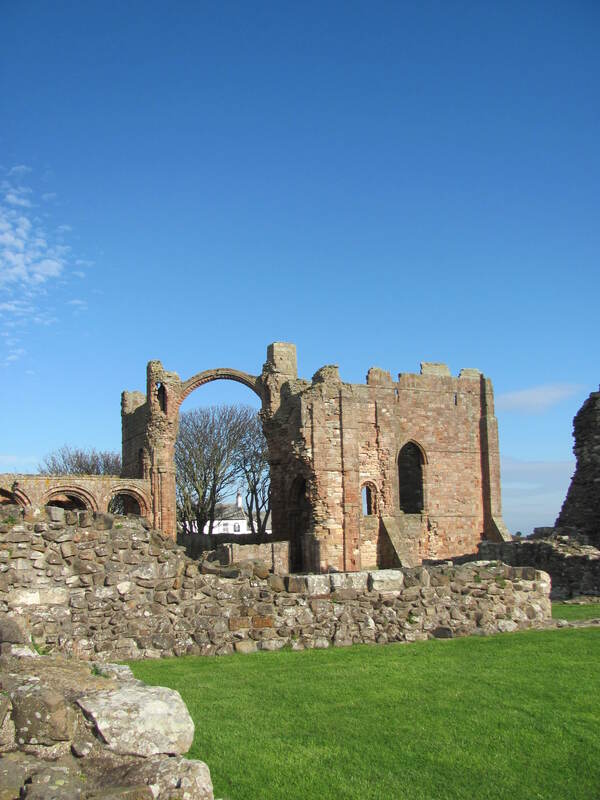 Christianity arrived in (returned to) England in 597, and King Oswald of Northumberland brought St Aidan (d. 651) as his monastic mission-bishop based at Lindisfarne. The mission of St Aidan was something of a top-down affair. The king and his thegns converted, and the assumption was that their people would as well. Around the time of Aidan’s arrival from Iona, Cuthbert, his most famous successor, was born. What makes St Cuthbert so interesting, from his time as a monk at Melrose to his death as a hermit on Inner Farne (at the time, all that was Northumberland), was the fact that, although a hermit at heart and contemplative by practice, he was also a preacher. It is rumoured he preached as far north as Edwin’s Burg (Edinburgh), where a church to St Cuthbert stands today where once the shores of the Nor’ Loch lapped against the land. And he did not just preach to kings and carls, to thegns and landholders. He preached to the common folk of Northumberland, people to whom the king’s religion had not yet reached in the ensuing decades. And this is why St Cuthbert is the greatest treasure of Durham Cathedral, for he really, truly was the instrument of the Holy Spirit in bringing the Gospel to Northumberland (which in medieval terms would include County Durham). When I think about how we might reorient our lives and churches in post-Christendom, it is the example of such figures as Sts Cuthbert and Aidan that strikes me the most — people who are devoted to both the inner chamber, the secret room, the contemplative life of the mystic, and to the outer world, the preaching of the Gospel, the saving of the lost, the making of disciples. Maybe we need more missionary monks. St Cuthbert on his deathbed, from a 12th century northern English copy of Bede’s prose Life of Cuthbert (London, British Library, MS Yates Thompson 26, f. 73r). On Tuesday evening, for the first time in several months, I turned up at St. Andrew’s Orthodox Church for Vespers. It being the first week of Orthodox Lent, the service was that of St Andrew of Crete, and things were lit only by oil lamps and candles. I lit my candle and proceeded over to the icons on display — the usual trio of Christ, the Theotokos, and St Andrew the Apostle, but also the Saint of the Day, in a modern icon — St Cuthbert (634-687). If you know your feasts, you will immediately say, ‘St Cuthbert’s Day was Wednesday!’ Following old customs, the cycle of the day begins with Vespers. And so, in with various prayers of humility and for mercy, coupled with prostrations that involved touching foreheads to the floor, came that Early Mediaeval Northumbrian saint, Cuthbert. If you want details for the life of good St Cuthbert, he was Saint of the Week around his feast day in 2010. 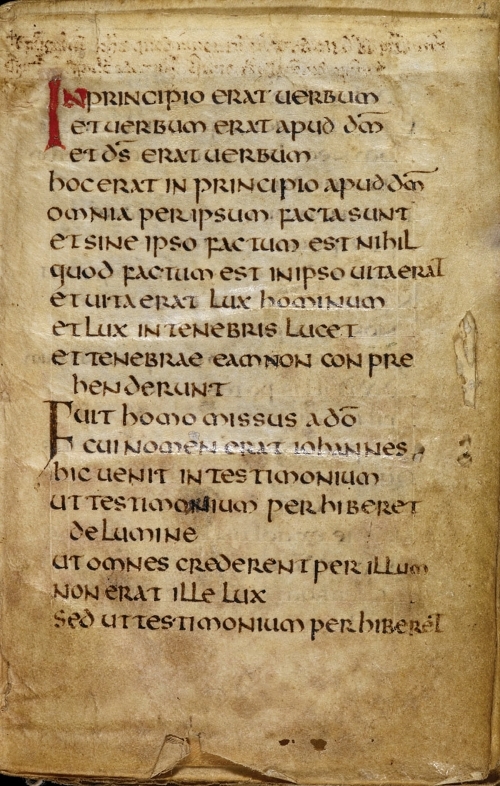 I recommend also that you get a copy of the Penguin Classic The Age of Bede (or the original edition Lives of the Saints), which includes Bede’s prose Life of St Cuthbert (which is online here). Since I first read Bede’s Life of this saint, I’ve had a soft spot for Cuthbert. I bought Lives of the Saints for St Brendan the Voyager, but fell for Cuthbert. I mean, The Voyage of Brendan (in both editions of Penguin’s volume) is a fun read and a masterpiece of Early Mediaeval imagination. But Cuthbert is a man who draws me the way St Francis of Assisi (my page on him here) or Blessed Ramon Llull (saint of the week here) draw me. He was a mystic and a missionary. He was a monk and a preacher. He was a hermit and a bishop. He lived both the active and contemplative lives. My belief is that each fuels the other. I have happily followed Cuthbert around Britain. 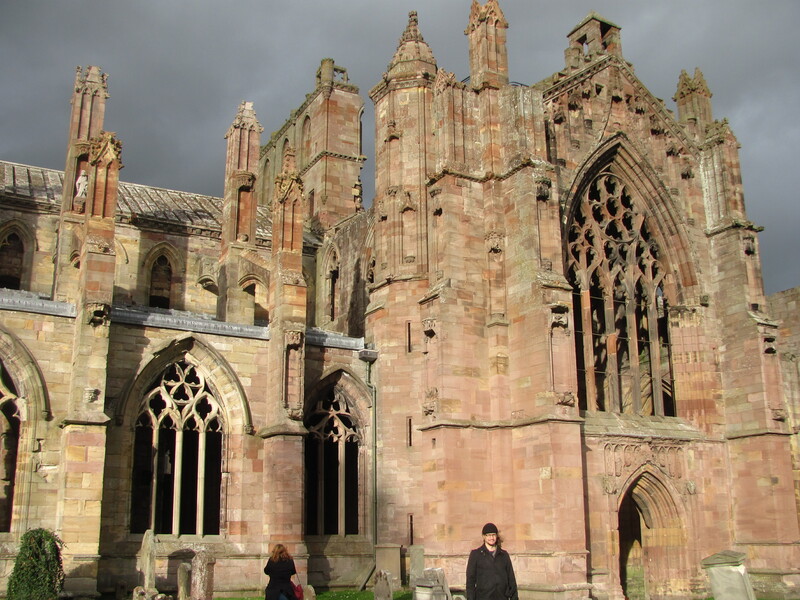 Although I’ve yet to visit Melrose Abbey in the Scottish Borders, where he was admitted as a monk, I have been to two Romanesque foundations associated with this mystic missionary. The first was Lindisfarne. I should give you the piece I wrote about Lindisfarne at some point. 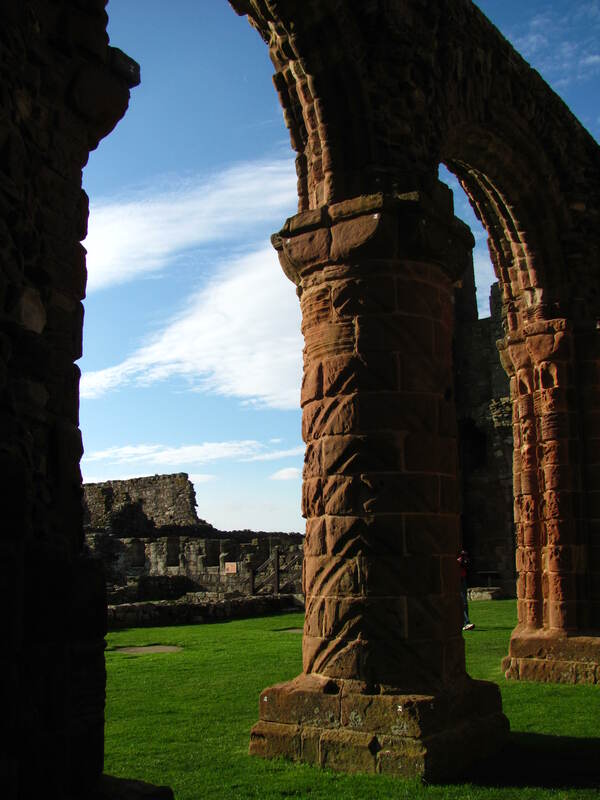 Lindisfarne, or Holy Island, is where St Cuthbert was Abbot-Bishop, seeking to reform the monastic habits of the brothers there, which included both simple reform as well as bringing them in line with Continental forms of monasticism. Here you can see the beautiful red sandstone edifice erected years after Cuthbert’s monastery was long gone by monks who honoured the memory of this monk-missionary in particular as well as his brethren who lived on Holy Island from the days of St Aidan (saint of the week here) in the first half of the 600s until 875 when ongoing Viking raids caused the monks to flee from Holy Island to the mainland of Northumberland. Lindisfarne is the site of the famous, earth-shattering Viking raid of 793 that is often thought of as the start of the Viking Age. 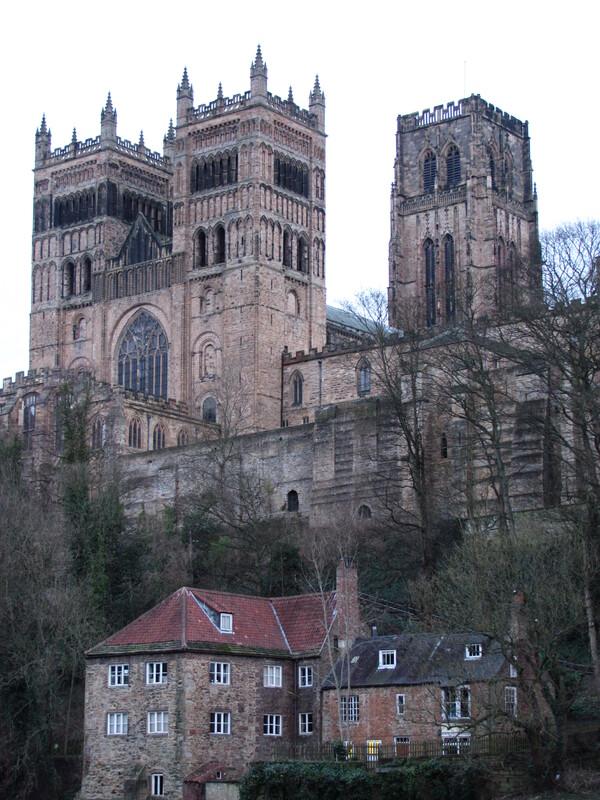 The Romanesque Priory was built c. 1093 by Durham Benedictines. In 875, the monks took the relics of St Cuthbert with them. Cuthbert was a big deal and his shrine an important pilgrimage site. First, they stopped off at Chester-le-Street (pronounced Chesly Street) for nine years. I’ve been there, too; changed buses on the way from Durham to Beamish. They settled in Durham, though. 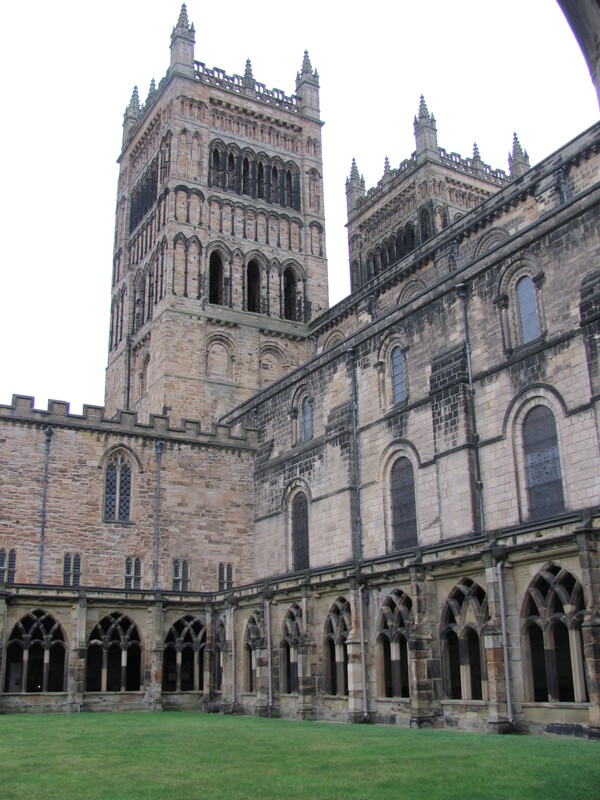 And the big, beautiful Romanesque cathedral that stands there now is built in honour of God and St Cuthbert. Within, you can see the saint’s tomb with a simple, black slab over it. With his body is the head of King St Oswald (d. 642). There is also something of a canopy and kneelers to pray. This is nothing compared to the late mediaeval marble opulence covered with gems that was removed during the Reformation. This past June, on the way back from Oxford where I was doing research, I stopped overnight in London. In London, I visited the British Library — and what was on display there but the Cuthbert Gospel? This is the copy of the Gospel of John that was buried with St Cuthbert, presumably his own copy! So I was pleased to see that, as well as an illuminated manuscript of Bede’s Life of St Cuthbert. Even in the South of England, I follow Cuthbert. I have one other connection with St Cuthbert I can think of. There is a rumour that Cuthbert’s Northumbrian missionary enterprise extended as far as the Firth of Forth (the northern extent of the Northumbrian Kingdom of Bernicia), and that he established a house of worship on the shores of the Nor’ Loch, beneath the Briton (not Pictish!) 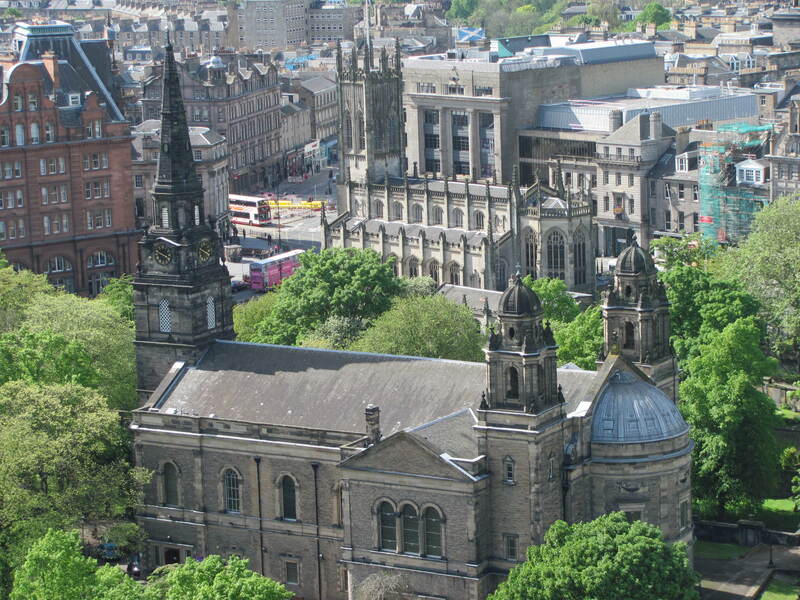 fortress of Eidyn — the belief is that today’s Church of Scotland Parish Kirk of St Cuthbert that borders where the Nor’ Loch would have been, beneath the mediaeval/early modern fortress of Edinburgh Castle is on the same site as Cuthbert’s house of worship. Last week, my wife and I visited Durham Cathedral, where they have a commemoration to St. Hilda — as well as the bodies of St. Cuthbert (saint of the week here) and the Venerable Bede (saint of the week here) and a commemoration to St. Aidan of Lindisfarne (saint of the week here). Since Hilda was also abbess of Caedmon’s convent (recent saint of the week here), it seemed more than high time to post about her as Saint of the Week. O ALMIGHTY God, who willest to be glorifled in thy Saints, and didst raise up thy servant Hilda to shine as a light in the world: Shine, we pray thee, in our hearts, that we also in our generation may show forth thy praises, who hast called us out of darkness into thy marvellous light; through Jesus Christ our Lord. Amen. I would reprint all of the Venerable Bede about her, but that would take too long. It is worth reading, and the story of Caedmon is part of hers, as he was a brother at her monastery. You can find it in The Ecclesiastical History of the English People Book IV.23-24; my translation of the Caedmon bits here. 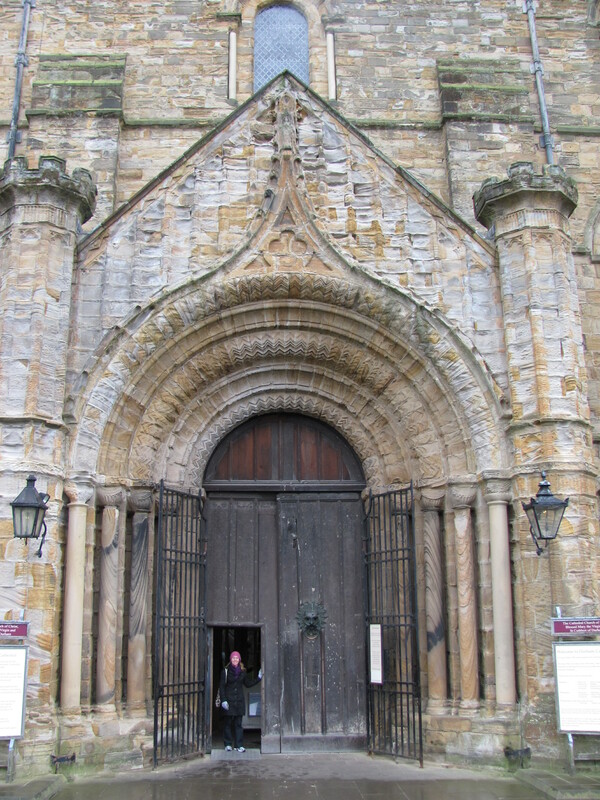 Under the rule of St. Hilda the monastery at Whitby became very famous. The Sacred Scriptures were specially studied there, and no less than five of the inmates became bishops, St. John, Bishop of Hexham, and still more St. Wilfrid, Bishop of York, rendering untold service to the Anglo-Saxon Church at this critical period of the struggle with paganism. Here, in 664, was held the important synod at which King Oswy, convinced by the arguments of St. Wilfrid, decided the observance of Easter and other moot points. St. Hilda herself later on seems to have sided with Theodore against Wilfrid. 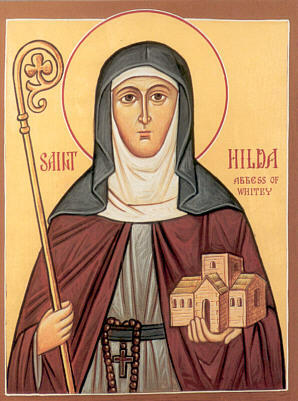 The fame of St. Hilda’s wisdom was so great that from far and near monks and even royal personages came to consult her. Since we took a trip to Holy Island (aka Lindisfarne) yesterday, it is only fitting that this week’s saint be Aidan (I already covered Cuthbert here). Aidan was an Irish monk from the monastic community on Iona founded by St. Columba (saint of the week here and here). When King Oswald of Northumbria asked for missionaries from Iona to spread Christianity amongst the English of his kingdom, the first recruit, a man named Corman, decided the English were too stubborn to convert and went home. Aidan was not impressed with such an attitude, so in 635 he left Iona to evangelise the English of Northumbria. 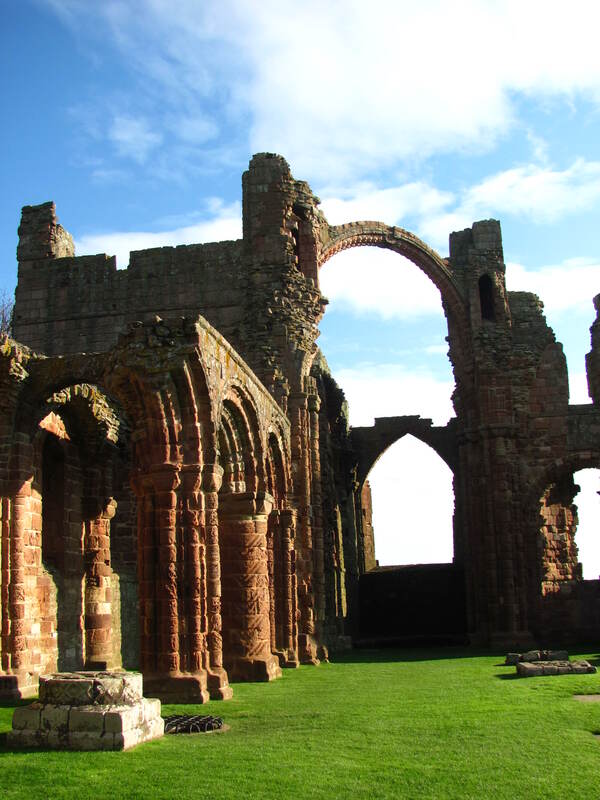 He chose as the centre for his missionary activity the island of Lindisfarne and founded the first monastery there. He established Lindisfarne as an episcopal centre and hub for missionary activity. Lindisfarne is a reasonable choice as a mission centre for Northumbria; it is a tidal island, and twice a day is connected to the mainland — thus, it is not entirely separated from the mainland. However, as an island it would also serve well as a monastic foundation for those seeking solitude and escape from the world. Its proximity to Bamburgh Castle also makes it strategic for safety reasons and nearness to the travelling court of the king (not that Bamburgh Castle could help much when the Vikings started raiding England in 793 with a bang). Aidan would undertake the missionary journeys himself on foot, walking from village to village to preach the Gospel to the uncoverted, heathen English. At first, he only knew Irish and early encounters required the use of an English interpreter, possibly even King Oswald himself on occasion. 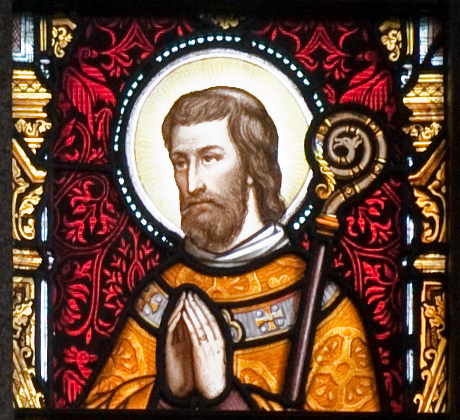 Oswald’s successor, Oswine, was also favourably disposed towards Christianity and continued to sponsor Aidan’s efforts to convert the people of Northumbria. Oswine died a few days before Aidan. In Aidan we see the lives of various persons mentioned on this blog converging — St. Columba’s work on Iona branching out after his death to Lindisfarne; Oswald who sponsored Aidan also had a vision of St. Columba the night before Heavenfield Battle the year before Aidan arrived; St. Cuthbert was a monk (and later abbot) of Lindisfarne and also engaged in his missionary efforts throughout Northumberland by foot; the method of evangelisation allied to kingly sponsorship was practised in Britain not only by Aidan but also by Kentigern (saint of the week here), St. Columba, St. Cuthbert, and St. Augustine of Canterbury (saint of the week here); the Venerable Bede (saint of the week here) wrote about the lives of Sts. Aidan, Cuthbert, and Augustine. 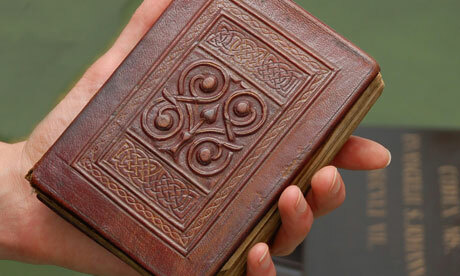 When we read the inspiring lives of these Early Medieval British saints, one thing that mustn’t be lost is the rigour with which they lived, a rigour most of us lack today. How zealous about the ‘Celtic’ church would so many of us be if we considered that its great heroes were monks who prayed several times a day, some of them reciting the entire Psalter every day, not partaking of wine or strong drink, fasting frequently, eating sparsely, walking miles and miles through all sorts of British weather, learning foreign tongues, growing their own vegetables, and so on and so forth? Perhaps, however, this ascetic spirituality is just the kind of earthy spirituality modern Britain needs.